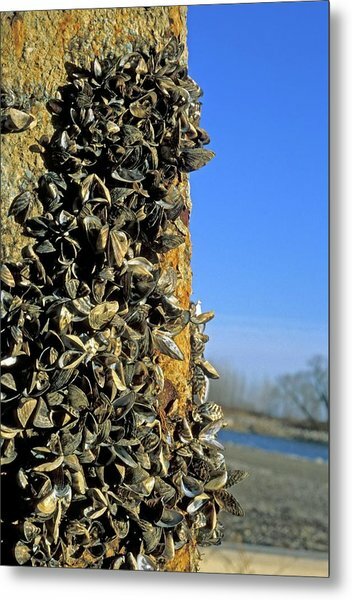 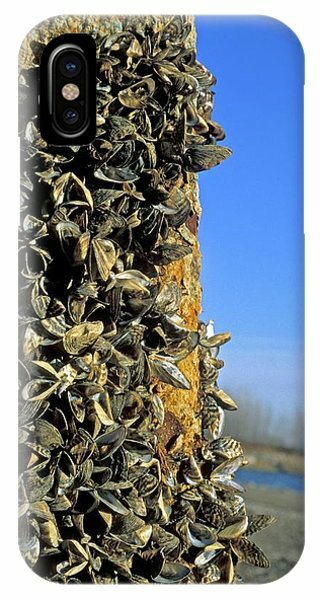 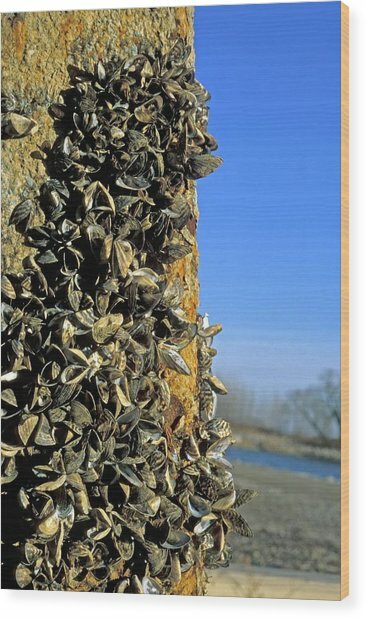 Zebra Mussels is a photograph by Jim West which was uploaded on July 24th, 2016. 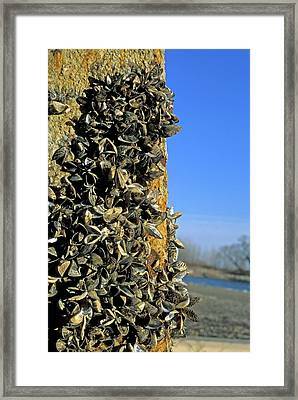 Zebra mussels (Dreissena polymorpha) clinging to a pier. 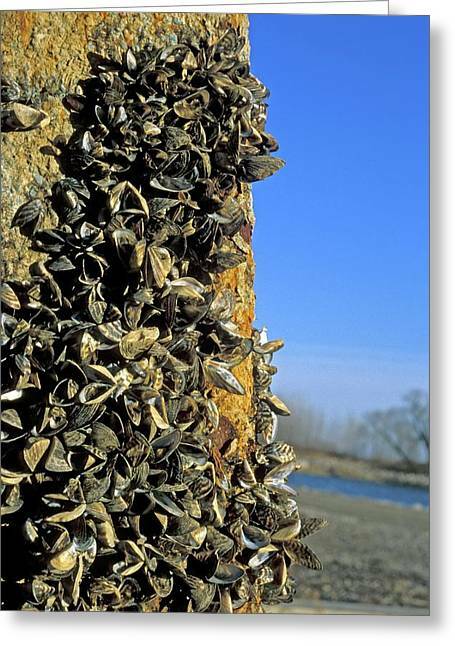 Since they were accidentally imported from Eastern Europe in the late 1980s, zebra mussels have spread throughout the Great Lakes, clogging pipes and boat engine cooling systems. 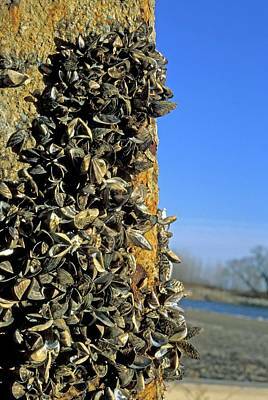 Photographed at Lake Erie, Michigan, USA. There are no comments for Zebra Mussels. Click here to post the first comment.